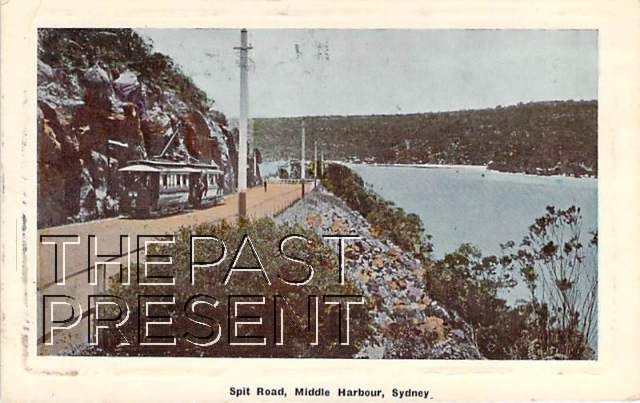 This week, The Past Present is sharing a postcard image of a road many Sydneysiders are familiar with, Spit Road. Yet there is a feature of this card that many Sydney residents may wish was still in place – this postcard features a tram. Once, Sydney had a vast network of tramway which, at it’s height, was the largest tram network in all of Australia and one of the most extensive in the world! The first trams in Sydney were horse drawn, and travelled between Sydney Railway station and Circular Quay, but the track stood up from the road and caused accidents, so campaigning led to its closure in 1866. By 1879, the tramway had been replaced by a steam tram system and this was a great success. The system rapidly expanded, covering more of the city itself, and even extending to some of the inner suburbs. Electrification of the lines began in 1898 and most lines were fully electric by 1910. 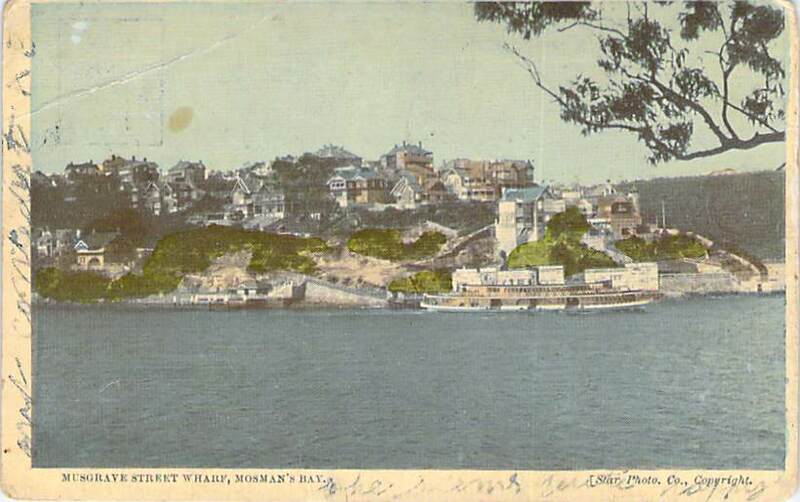 At their height, the tram lines travelled to places as varied as Watsons Bay, Manly, Balmoral, Chatswood and, as the postcard shows, also to The Spit. The system began a gradual decline in the 1930s and the last of the original Sydney tram services ceased in 1961, with the last route to close being that to La Perouse. Hospitals have long been a feature of Sydney’s history, with the first ‘hospital’, constructed of tents, operational in 1788. Yet when we think of Sydney’s hospital history, we tend to think of a few, main hospitals, Sydney Hospital being the one which most often jumps to mind. Sydney has many medical facilities though, some of which still exist in their original locations, and some of which have been lost to history. The Little Bay Hospital pictured above is one such facility. In the 1880s, there became an increased demand for hospital care, and also an increasing need to specialise medicine. 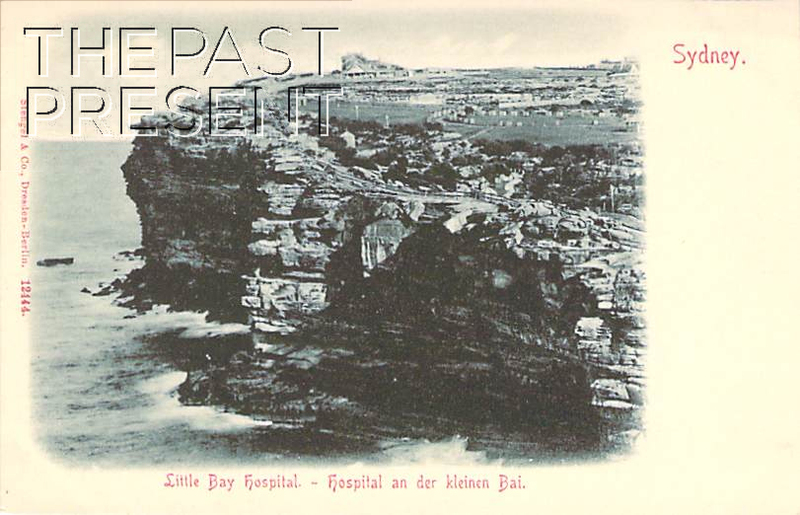 Little Bay Hospital (usually known as The Coast Hospital or Prince Henry) was one just one specialised hospital built in this decade. Little Bay, located in Southeast Sydney and well away from the established communities and suburbs was the perfect location for this new hospital which catered specifically for infectious diseases. The hospital first opened in 1881 as a tent hospital and was a direct response to the smallpox epidemic which was then sweeping Sydney. A horse ambulance was established to carry patients to the isolated hospital, and disbanded in early 1882, after the epidemic was over. The Coast Hospital was not disbanded though, being converted to a briefly to a convalescent hospital before being again transformed in 1888 into a ‘fever hospital’. From this time the Coast Hospital treated infectious ‘fever’ diseases such as diphtheria, tuberculosis and scarlet fever. In 1900 and again in 1921 patients with Bubonic Plague were treated at Little Bay and in 1919, when the famous influenza pandemic sweeping the world reached Sydney, patients suffering from the deadly disease were also sent to the isolated hospital. In 1934, in honour of the Duke of Gloucester, the name of the hospital was officially changed and from this point the hospital was known as Prince Henry. The hospital at Little Bay was finally closed in 2001, with services being transferred to the Randwick Campus. This week, The Past Present is sharing a photo of a place which residents and visitors to Sydney alike are often familiar with – Sydney Airport at Mascot. Yet as this postcard image reveals, this is not Sydney Airport as we know it today! Sydney Airport is actually very significant, being one of the oldest continually operating airports not just in Australia, but in the world! The first plane to leave the airport at Mascot, piloted by J.J. Hammond, took fight in April 1911 and eight years later, just after the end of World War One, the site was selected by Nigel B. Love as an aircraft manufacturing facility. 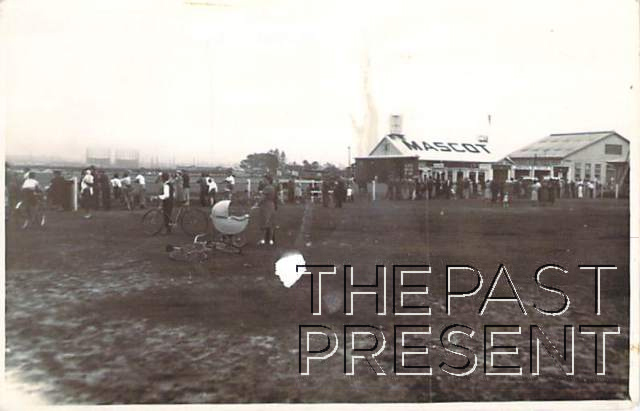 In 1920 the Mascot Aerodrome was officially named and opened, but soon after that the federal government acquired the site, transforming it into a national airport. At this early time, the airport was nothing like the large passenger terminal buildings filled with shops, restaurants and amenities which we see today. In fact, it wasn’t until after World War Two that a true passenger terminal building was constructed! Sydney Harbour is, as many say, the jewel of Sydney. It is a beautiful harbour, which today is easily crossed and navigated, but this was not always the case. Before the Harbour Bridge, and indeed before any bridge at all, ferries were needed to cross the beautiful expanse of water. Today, ferries continue to ply the harbour, with many ferry wharves having a surprisingly long history. Musgrave Street Wharf is just one of these. Musgrave Street Wharf has a surprising history, which many may not expect. Today, the wharf serves South Mosman, but over time, some extremely important and famous Australians have used this seemingly typical wharf. In the late 19th century, an artists camp was established on the eastern short of Little Sirius Cove in Mosman. The camp, known as Curlew Camp, was used by several extremely important Australian artists, including Arthur Streeton and Tom Roberts. Julian Ashton also occasionally visited, though he was not a permanent resident. Not only were the artists associated with the camp famous, some of their most famous paintings were painted while they were resident at the camp. After the artists had moved on, the camp continued to be popular, though now more with those interested in sailing and sport. During this time, another famous Australian, Frederick Lane who was a gold medal winning Olympic swimmer, became proprietor of the camp. The question is, how did those using the camp access the city, where several of the residents worked or sold their works. This is where Musgrave Street Wharf comes in – the camp was but a short walk from the ferry wharf, and this is how the residents came and went. Sydney is made up of many fascinating suburbs and areas, many of which are such a normal part of Sydneysiders lives, that they spare little thought for the history of these areas, let alone for the names they go by. Today most are simply residential suburbs, home to countless families. Mortlake is just one such area. The earliest Europeans to live in what is now known as the Mortlake area were John Miller, John Robertson and Benjamin Butcher, each of whom was given a land grant in 1795, not long after Europeans colonised Australia. The land, which was first recorded as Bottle Point, was then transferred to John Ward and his heir Alexander MacDonald. In fact, Mortlake has had many names. 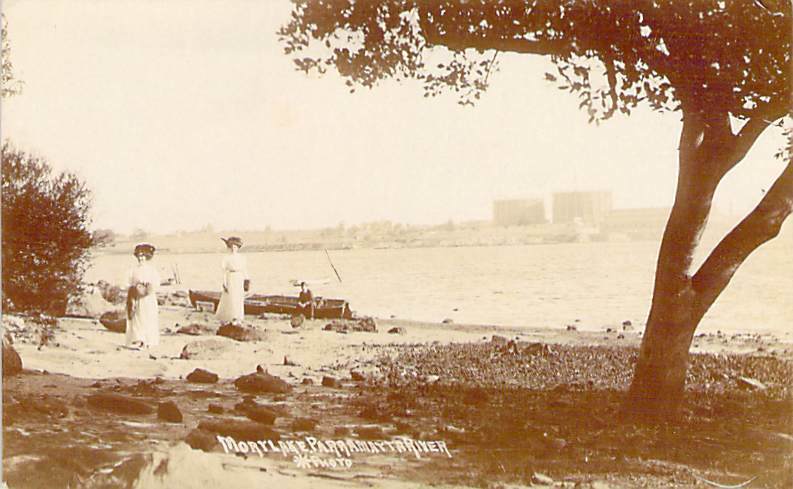 By 1837 we know people had begun to refer to the area as Mortlake Point, but intriguingly, in the later part of the 19th century, the area was usually referred to as Bachelors or Green Point. The name Mortlake was reapplied, and finally stuck, in the 20th century. For much of its history, Mortlake was a hive of industrial activity, particularly dominated by the Australian Gas Light Company who by 1884 were producing gas in Mortlake and providing work for the growing community. The suburb, with its river frontage, was ideal for the industrial process, with the river transporting the coal which was needed for the production of the gas, to the factory. The coal was heated then the gases which were produced were removed, cooled, cleaned and purified, ready for market. Then, in 1971, the process of producing gas from coal was discontinued and natural gas from the interior of Australia was piped to Mortlake instead. Now, all the factory needed to do was add an odour to the gas (for safety reasons) and distribute it to customers. In 1990 the gasworks finally closed.